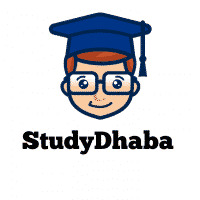 Mrunal Essay Topics List Pdf 2016 IAS Mains Exam -Free Download – Hello Friends Welcome To StudyDhaba.com . 1. Should Indian poor be given ‘universal basic income’? – क्या भारत के गरीबो को ‘सार्वत्रिक बुनियादी आय’ दी जानी चाहिए? Context: Next Eco. Survey will focus on this. UPSC has asked economy essays where you’ve to take a ‘yes / no’ type stand in 2009, 10, 12, 14 and 2015. 2. Skill development: the critical ingredient for faster, sustainable and inclusive economic growth. –कौशल विकास: तेज, सतत और समावेशी आर्थिक विकास का महत्वपूर्ण घटक. 3. Can we become “Modern” without becoming “Western”? –क्या हम ‘पाश्चात्य’ बने बिना ‘आधुनिक’ बन सकते है? 4. India: A model of relevance to the globalizing world. – भारत: वैश्वीकृत दुनिया के लिए प्रासंगिकता का एक प्रतिमान. 5. Justice: the first objective in the Preamble of our Constitution. –न्याय: हमारे संविधान की प्रस्तावना का प्रथम उदेश्य. 6. Identity groups: a challenge to Indian Democracy? –पहचान समूह: भारतीय लोकतंत्र के लिए एक चुनौती? 7. Mohan with (Sudarshan) Chakra OR Mohan with Charkha- What should be India’s priority – (सुदर्शन) चक्रधर मोहन या चरखाधर मोहन: भारत की प्राथमिकता क्या होनी चाहिए? 8. Where wisdom is called for, force is of little use. जहां बुद्धिमत्ता की आवश्यकता हो, वहां बल की उपयोगिता कम है.